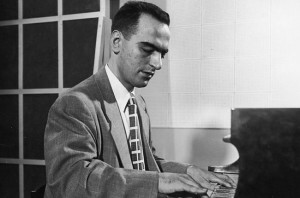 The Lennie Tristano Experience – Welcome to LennieTristano.com a site dedicated to Lennie Tristano, one of the great original improvisers and innovators in jazz. With pianist Kazzrie Jaxen, tenor saxophonist Charley Krachy, bassist Don Messina, and drummer Bill Chattin Lennie Tristano will be inducted into the Ertegun Jazz Hall of Fame. Induction speeches will begin at 7:20pm.